Finishing a challenge , it makes it hard to see whats next. I really busted my hump to make sure I finished that challenge. I wanted to make sure each post was well written. Each one was not my best post, but I did try and I am proud of myself. It feels weird to not number my post anymore, lol. Some one asked me what I was going to do next and its a good question. I have a personal writing goal but I don’t know if I am going to share that one the blog. I want to write 100 pages by December 26. Part of that, is writing like no one will read it to give me the courage to actually finish it. So I don’t know if you all will get to read it or not. I will see once its done. I will do a few periodic check ins just to keep myself accountable and monitor my progress. I need a blog goal now. I am cooking a few things up in my mind but nothing solid yet. I am also going to take a class from Blogging University and work on some of my old posts. Any suggestions? I am looking for ways to grow my writing and my blog so any ideas would be great. Heres to the rest of the year! Is Jesus at the center of my goal? I believe so. I am not saying I want to save the world. I do however want to use the gifts that he gave to do good. I don’t want to waste any opportunity that I was presented to me. I want to be able to say I did the very best I could with what I was given. The bible says anything God is in can not fail. . 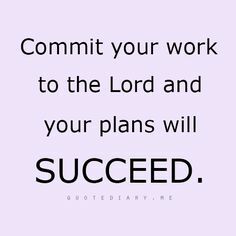 This is a reminder for all my Christian bloggers who lose motivation because we may not have the followers that other blogs have, even though we are saying the same thing. People are being impacted by the words we write down. When you are changing lives their is no failure. I often times get caught up in likes and views but if even one person read what I wrote and was impacted then that is a win for God. Even if that person doesn’t believe if it got them thinking a little bit, then that is a win. Don’t lose hope, for our work is not in vain. Its our job to plant the seed by being obedient and we can do that. Every little bit counts. I used to think that why would anyone want to read what I had to say. I wasn’t saying anything special or doing things that had not been done before. Then I realized, it hadn’t been done before, because my voice was needed. Your voice is needed as well. So write when you don’t feel like it. Write, even if you don’t think it is good. People will resonate with you because your story is important. Do you want to he successful by the worlds terms or Gods? I came across this the other day and it was a great reminder. Who are the godly people you look up to? I’m not talking about just surrounding yourself with godly friends but actually having people around that help you grow. Do you have a Christian mentor? Do you go to Sunday school or attend a bible study? Who is helping you in your spiritual growth? Do you read books or listen to podcasts that help in your growth? No person is an island and we all need help. The small group I am in, has changed my life for the better. These women have challenged me, inspired, informed me. They have made me a strong prayer warrior and Christian women. They have encouraged me when I didn’t think I could go forward. If you are the smartest person you know, then you need a new circle. If you are the only person praying over your life, then you may want to get some new friends. This summer is going by fast. I don’t feel like I have done as much partying as I did last summer. I had quite a breakthrough last summer in focusing on my self care and really doing the work to be a better person. I came out of that experience refreshed. I just start writing for my blog. I had good the goals or things I wanted to accomplish. God did all of them but one. You could probably guess which one that was. I was very pleased. I must admit though that list was pretty surfacey, superficial. It was mostly about partying and hanging out, having fun with my husband and my friends. I knew this year I would do the same thing. Make this list to God and ask him to help me do things that I wanted to accomplish. It was much harder for me to write it this time though. I started this list in April, but every time I would sit down to write it, I just couldn’t do it. I would stumble and stutter and end up talking to God about random stuff, not what I really what I wanted to do. I couldn’t understand what was taking me so long why i just couldn’t spit it out. Part of that was because if I really asked God for something and worked on it and he didn’t do it I would be faced with disappointment yet again. I just didn’t think that I could do that again. God’s track record is proven. So I decided to go for it. Knowing that I need to put the work in. I always thought that if I put the work in that I would be trying to help God. That just isn’t true. He doesn’t need my help, he needs effort. Effort can be difficult when you aren’t seeing results, but that is where true perseverance comes in. I gave God my list and I started putting the work in. It has certainly been harder but also more rewarding. I am making long lasting changes. Changes that aren’t just a change in action but a change in thought process, with action to back it up. Its been a challenge but I feel good. I have definitely grown this summer and taken some steps back. Change is not a linear process. I couldn’t always say that. Growth is also recognizing that things take time.